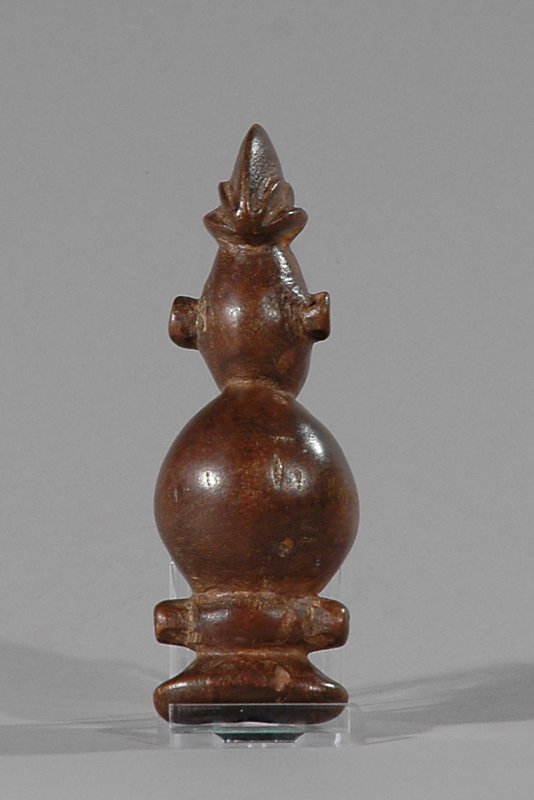 This is a fine, little reddish colored wooden flute by the Yaka people and are among the most important art forms in Africa, used both as a musical instrument and as a work of sculpture significant in many ceremonial functions, including dance, rituals, story-telling and communication of messages. 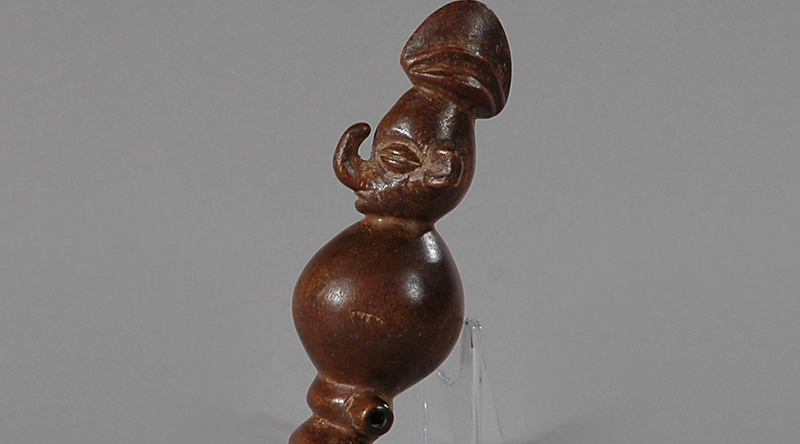 Both mbwoolo sculptures and a type of carved flutes and slit drum known as a mukoku are used by ritual specialists. 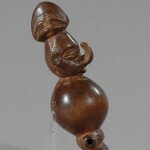 Mukoku help in the divination process, and mbwoolo are used to embody protective medicine. 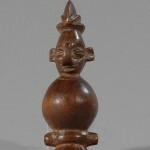 The Yaka also carve numerous masks and headgear for use in initiation and to be worn by traditional leaders. 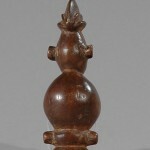 Hair combs and fly whisks often are carved with decorations as well. 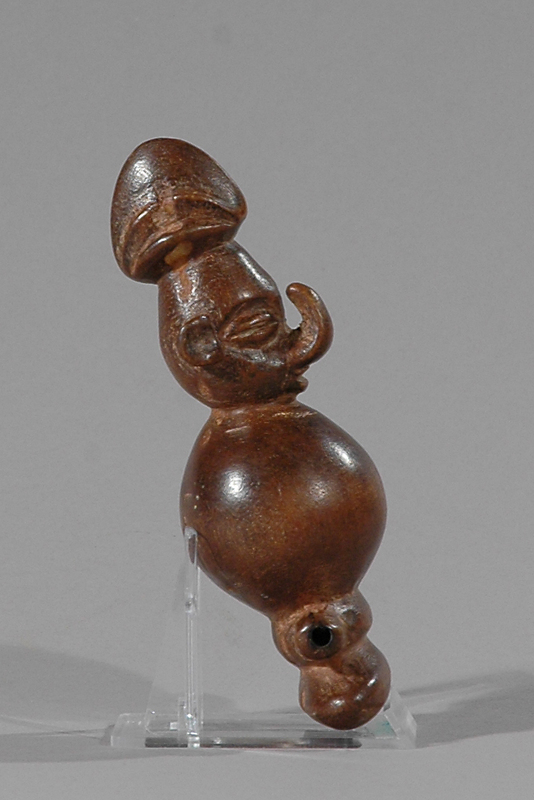 Oral history suggests that the Yaka, along with the Suku, were part of an invasion against the Kongo Kingdom that came from the Lunda Plateau in the 16th century. 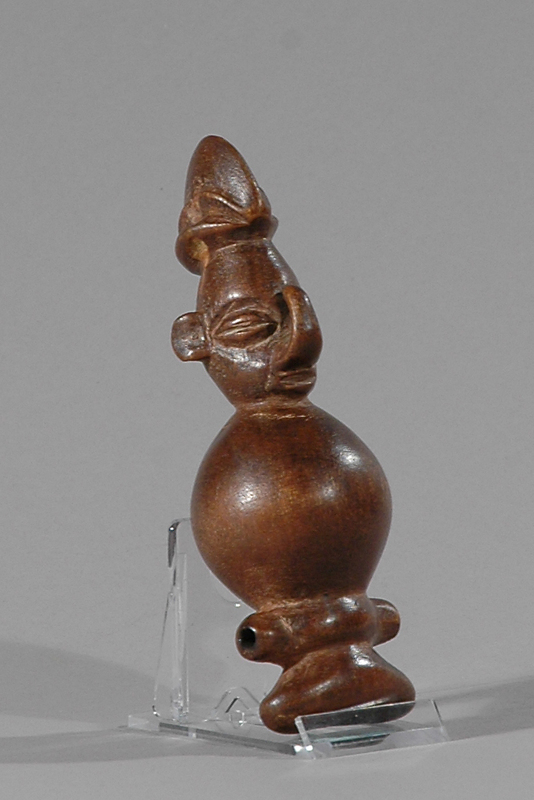 Previous to that time Yaka culture was enveloped in Kongo language and agriculture. Lunda expansion and creation of the Inbangala Kingdom in 1620 greatly affected the occupants of the Kwango River area, which included both the Yaka and the Suku. 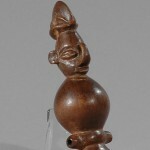 At one time the Yaka kingdom was comprised of several smaller ethnic groups, including the Suku. In an effort to expand to the northwest and east, Yaka chiefs weakened their kingdom’s strength and were forced to become subservient to the Lunda. 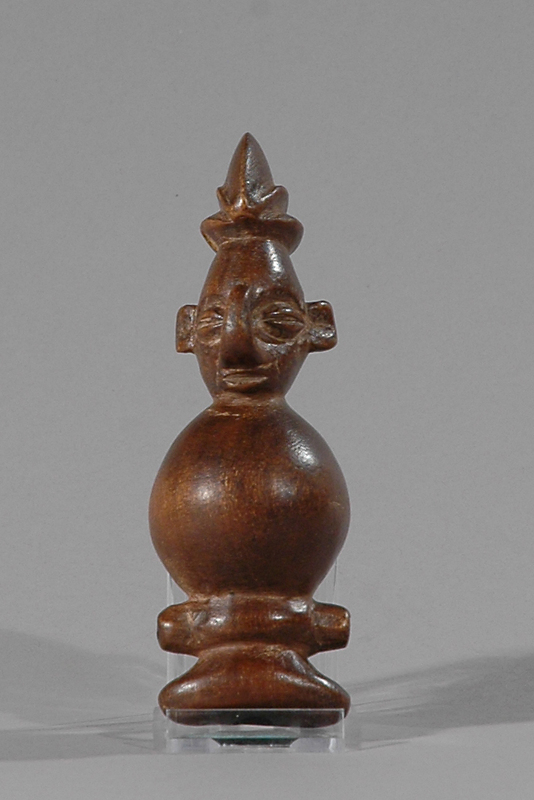 The Lunda-Chokwe empire collapsed in the 19th century and the Yaka regained some of their independence.